JUST LISTED & OPEN SUNDAY, NOV 11th, 1:00 - 3:00!!! 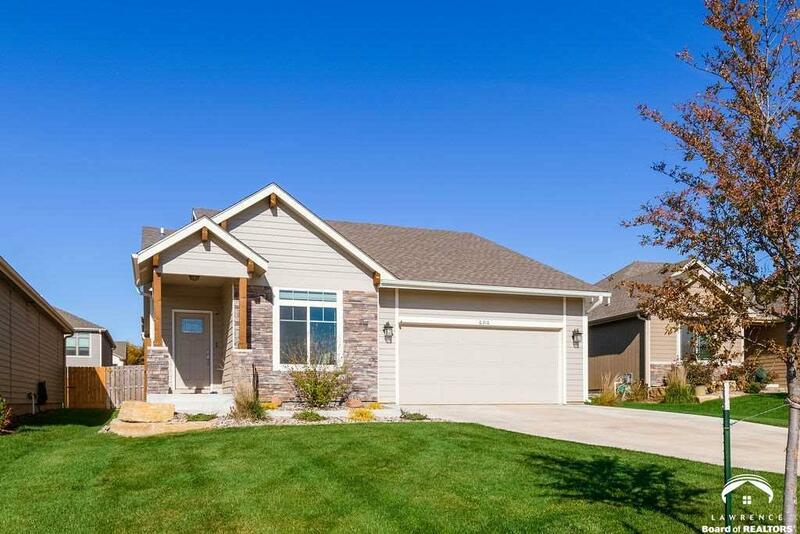 Gorgeous 4 bed/3 bath home near Langston Hughes Elem, Rock Chalk Park, and K-10/I-70 -- with easy access for commuters! Open floor plan w/vaulted ceiling in living room and cozy gas fireplace. White cabinetry in the kitchen w/farmhouse style sink, SS appliances, granite countertops & beautiful glass front dish storage. Nice master suite w/double sinks & large walk-in shower! Full finished daylight basement. Fenced backyard! Sprinkler system too!